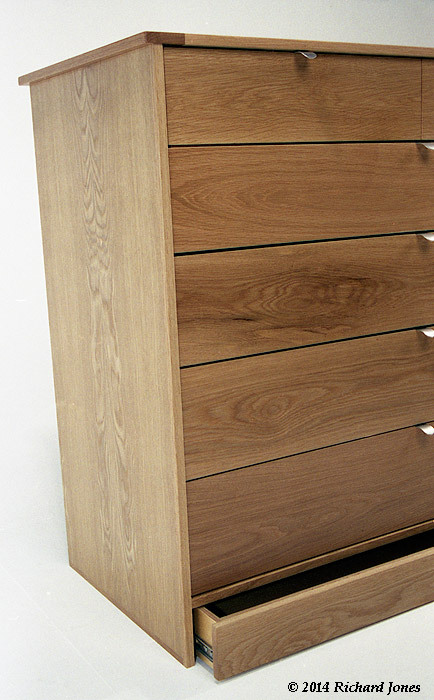 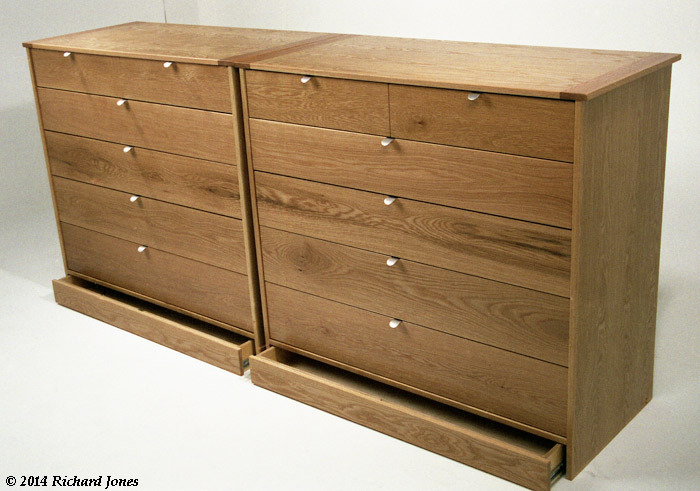 European oak veneered MDF, solid European oak, birch plywood drawer boxes, and lacquer. 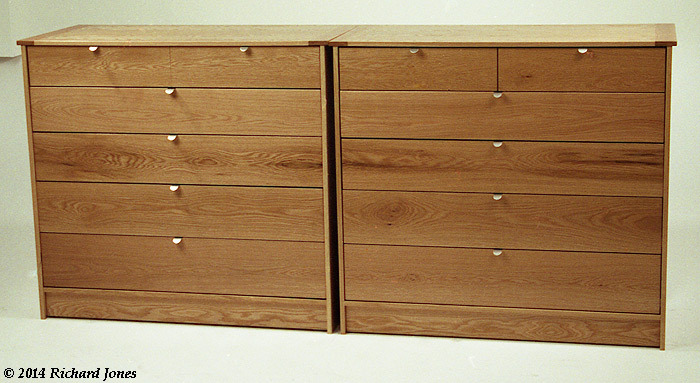 H 1,000 mm X W 1,100 mm (each) X D 520 mm (H 39-3/8" X W 43-3/8" [each] X D 21-1/2") Note: Width of the two units placed together equals 2,200 mm or 86-3/4"
Guide price: £4,500 - £5,000. 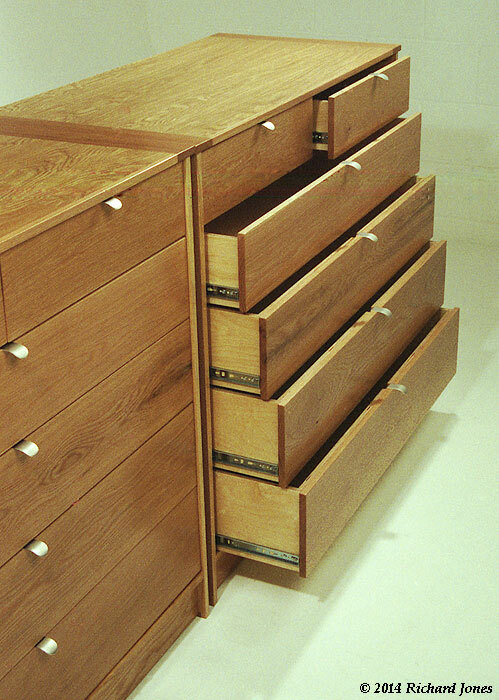 A pair of oak chests of drawers with the drawers mounted on full extension side mounted slides. 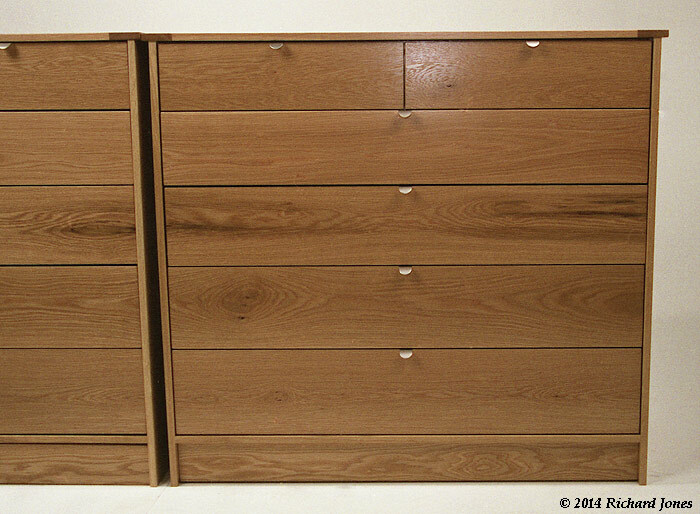 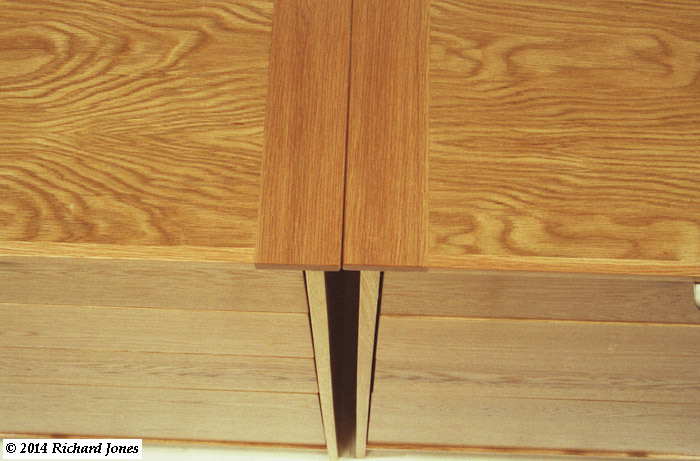 Drawer fronts of continuous grain running horizontally of solid oak 'planted' on to plywood drawer boxes. 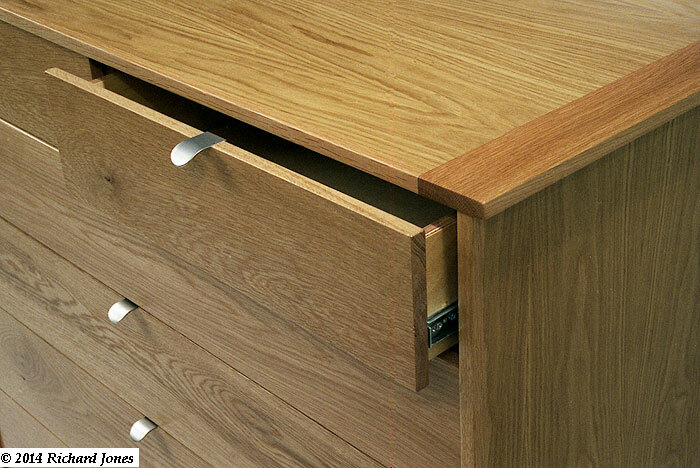 The deeper inset 'toe-kick' plinths conceal secret drawers (for increased security of valuables, etc) which can be opened with a separate (loose) pull that is hidden elsewhere in the user's premises.